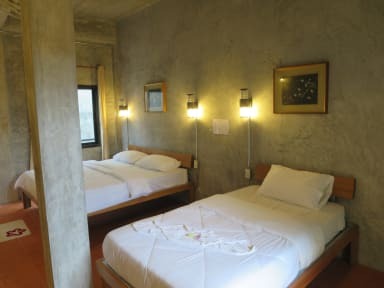 White Jail @ Koh Tao Hostel has a nice, friendly, quiet atmosphere in a good central location in Mea Haad. Only 3 min walk from the pier and next to the Baby Rasta Carbar. The beach is around 3 min walk from our hostel. 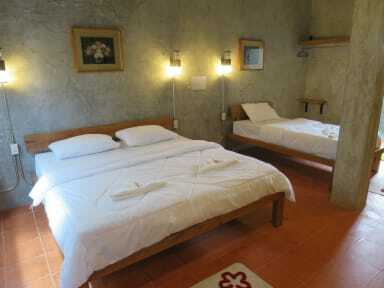 You also find several mini-markets, restaurants and shopping areas around our hostel. From 1932 - 1943 Koh Tao was used as a political prison. The prison was located in Mea Haad where our hostel is located now. Nowadays Koh Tao is a tourist destination for people all around the world. Perfect for all kind of activities such as diving, snorkeling, hiking, rock climbing or hanging out with friends. The beaches around Koh Tao are stunning and you will enjoy the parties at the beaches.